Data from Dilly’s Deli Free Sandwich Day 2013. Thank you to everyone who came out for Free Sandwich Day at our four valley locations! A special thanks to all the Dilly’s employees and extra helpers that made the day possible. Way to shine in the spotlight! We received a ton of positive feedback from customers. Dilly’s gave away a grand total of 3,026 total sandwiches and wraps! 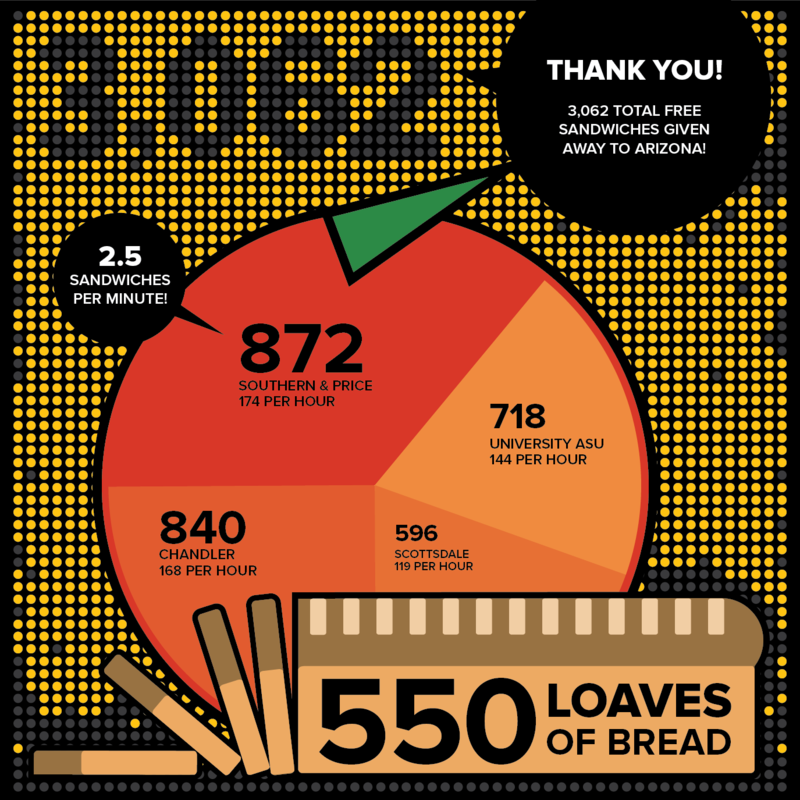 That’s an overall average of 151 sandwiches per hour that’s 2.5 sandwiches per minute! Thank you for helping make this milestone a memorable event, here is to the next 20 years!